Cover the Internet in a single “free”* click. Every one of your listings is a buyer lead generating tool capable of driving your business to the next level. That’s because we offer you the ability to have your listings cover the Internet in a single click. 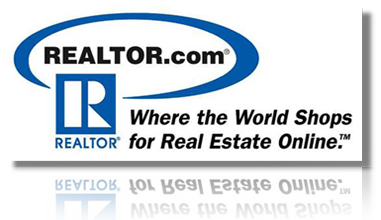 With the exception of Realtor.com(*$21.95 per tour per tour posting for agents without Relator.com Enhanced Listing Status) We will have you spending less time and money for way more coverage, the coverage your listings demands. It’s Critical that every listing look light, clean and appealing to potential buyers. Its not always easy but there are a few things you can do to improve your chances ... if there are blinds down and lights out NO Flash will do your listing justice. Spend a moment and assess if you can let the light in and then snap away. It is the ONE RULE that every pro follows. Your Photo Size Doesn’t Matter! You can upload up to 35 photos of any size into every one of your Listing Tours. Our Fast Upload technology allows you to navigate to a folder on your computer or even to load directly off of your camera. Select one or 35 and your done FAST! No more “onesy twosey” photo uploads, multiple select what you want by checking them off and ListingsMagic will re-size all of your photos on the fly getting done in seconds what used to take hours. 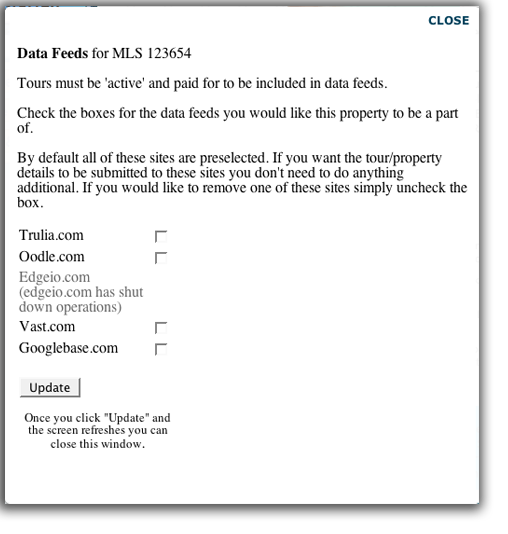 Now all that’s left is adding the property descriptions and your tour will be ready to post. to capture buyer leads in an instant. ListingsMagic tours offer Interested Buyers the ability to contact you directly from your Listing Tour. No separate application is required. If you have your phone on and text messaging enabled you’ll receive a buyer’s inquiry text message or e-mail query in seconds. Wow Sellers With Your Accessibility. Page or Email yourself directly from a Virtual Tour and demonstrate the power of our technology. 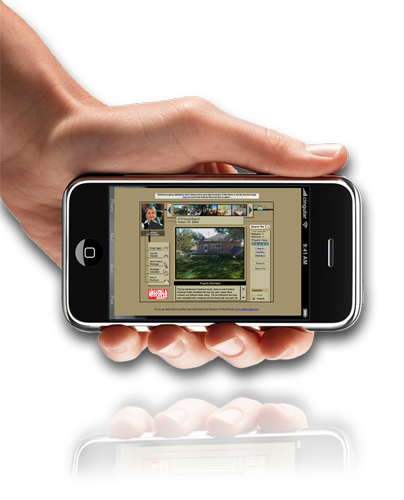 Use our text messaging feature in your next listing presentation. Open a tour and respond to an e-mail message in seconds ... not hours or days. Web enabled mobile devices are becoming more and more multi-functional and more and more a part of how we conduct business. Most of us have a phone that can send and receive text messages and a increasing number of us have can e-mail, receive photos and surf the Internet. In the very near future ListingsMagic will be sending your photos to cell phones and it won't be long before your prospects will be watching your virtual tour on the mobile devices as well. 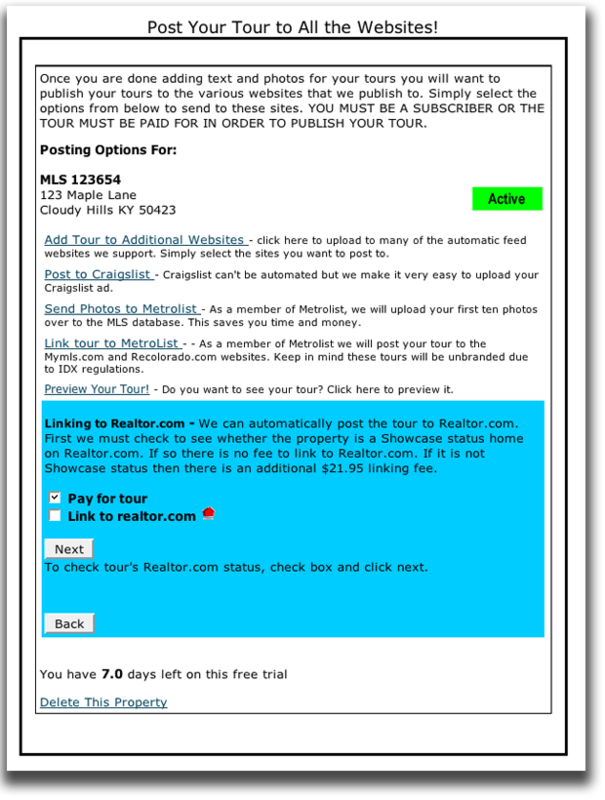 Be one of the first to leverage this emerging opportunity by subscribing to ListingsMagic.com products today.